How much extra would you pay for a house with pool? 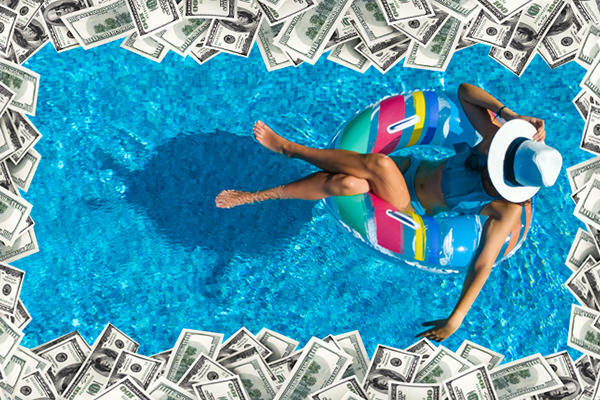 In Los Angeles, a pool can add over $95,390 to a property’s value, while in Austin, Texas, the water feature could boost the value by over $50,220, a new analysis by Redfin has found. The index’s highest-ranked metro was L.A., where a pool adds an estimated $56.45 to a property’s average price-per-square foot. California cities dominated the study’s top 15, with the Sunshine State’s cities trailing in second. The study’s highest-ranked metro area in Florida was Fort Lauderdale where a pool was found to add nearly $37,000 to a typical home’s value.